Construction of the Stone & South development is set to begin in fall 2018, with first occupancies slated for the fourth quarter of next year. 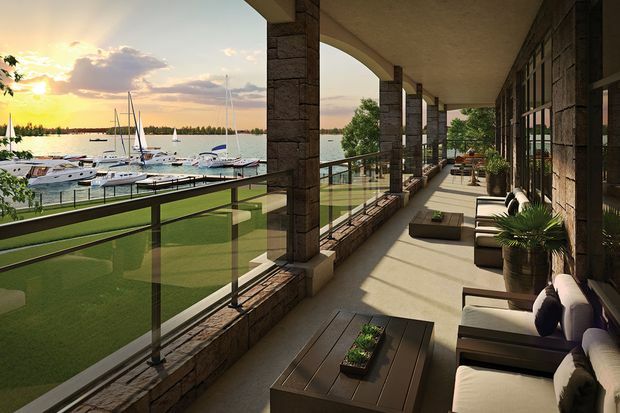 The architect behind the project envisions an unobstructed view of the dockside for all. Named after the two streets that intersect at its location, Stone & South on the River in the eastern Ontario town of Gananoque promises all its residents a clear view of the St. Lawrence and surrounding 1,000 Islands area. How was that achieved in a two-building, 70-residence complex? Typically, high-rise developments are designed with a main hallway down the middle and units on either side, effectively creating two views – and not always of equal quality. The architect behind the Stone & South project envisioned an unobstructed view of the dockside for all. Construction is set to begin in fall 2018, with first occupancies slated for the fourth quarter of next year. Significant prep work has already been done by the developer, CaraCo Group Development, a family-owned, award-building builder based in Kingston. The marina that formerly stood on the site has been removed, the soil has been tested and steps taken to maintain the shoreline. The balconies, all of which are up to eight-feet deep, are akin to a summer living room. The ones on the corners of the two buildings are 200 square feet in size. 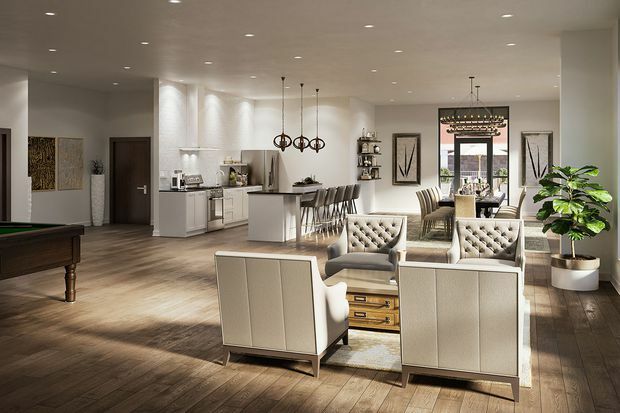 Not to be outdone by the exterior view, the interior of the residences boasts ceilings up to 10 feet high in an open-concept design that creates a sense of space and grandeur, while floor-to-ceiling windows ensure generous amounts of light in a spacious and airy atmosphere. The town of Gananoque has undergone a significant revitalization over the years, and now is home to an ever-increasing number of shops and services. “We have seen entrepreneurs from the Toronto area move in and reinvigorate the town with artisanal craft-type retail and services and offerings,” she says. Gananoque Brewing Company, a micro-brewery, is located nearby to the site of Stone & South. Also close by is the Woodview Inn, a completely restored older hotel, and Gananoque Boat Lines, which transports 250,000 tourists around the 1,000 Islands each year. On one side of the development, residents can enjoy a private marina, areas for swimming and other water-based activities. On the other side, Stone & South is perfectly situated for those with an appetite for fun, entertainment or fitness. Fine dining, pubs, cafés, theatre, art galleries and music in the downtown core of Gananoque are less than a 10-minute walk away. Ms. Hamilton says Stone & South is an attractive option for people living in the GTA who are considering either a summer or maybe retirement home. Ultimately, however, its appeal is hard to pin down to any one type of buyer. Prices run from $488,900 for a two-bedroom/bath, which includes underground parking and storage, to $879,900 for a penthouse three-bedroom with flex space. This content was produced by The Globe and Mail’s Globe Content Studio. The Globe’s editorial department was not involved in its creation.